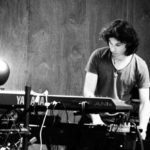 Phrozen Weaver is the electronic improvisation duo Phrozenlight & Son of Ohm. Cosmic Message is their first album, released on CD-r & Download. It all started in 2006 when Von Haulshoven meets Phrozenlight and they formed “Dutch Space Mission” in 2007, playing old style Berlin School. They did some live performances and released some albums. In 2010 both got the idea to look for a third member to expand their sound. So in 2011 they formed Band1971 together with Leonardo Soundweaver. They had made some albums with free style space music, using krautrock improvisations as base, and developed their own Grunniger School. In 2016 there was a massive crash between the two original members (esp. Phrozenlight), due some personal differences about the organisation of the Cosmic Grunn Events. So DSM and Band1971 disappeared from the scene. After sometime Phrozenlight and Leonard Soundweaver (aka Son of Ohm ), still having contact, decided to organize a new Event in 2018, “The Electronic Spectrum Experience”. Because one of the guests could not perform they needed a replacement, so they decided to form a new band: Phrozen Weaver. Without no rehearsal they made a great little show that day. Playing Live together was once again a great feeling so they decided to make it a real band with a long future…. They will try to catch up with the sound of Band1971 , which means a lot of improvisation. 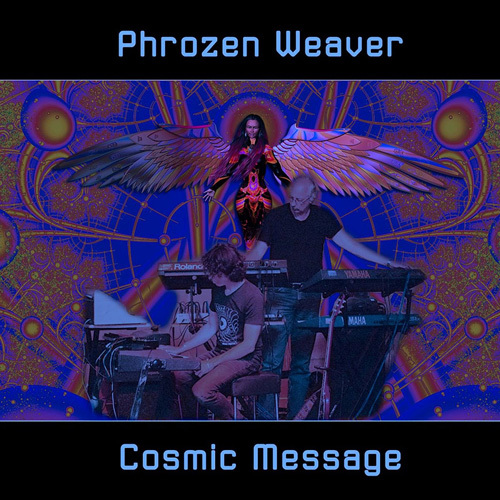 In the summer “Phrozen Weaver” released their first real album : “Cosmic Message”. It is released on Neu Harmony as CD-r and on Bandcamp as download.